From a Dutch leader telling a Turk to see tulips instead of rallying, to a top Turkish official comparing the Netherlands to “Nazi remnants” and a “banana republic,” the two sides didn’t pull their punches in the two countries’ worst diplomatic crisis so far. See if you can tell who said what. Looking at the statements in the press, the Dutch have appeared to be more cool-headed in the ongoing spat with Ankara, save for the generally more outspoken far-right politician. 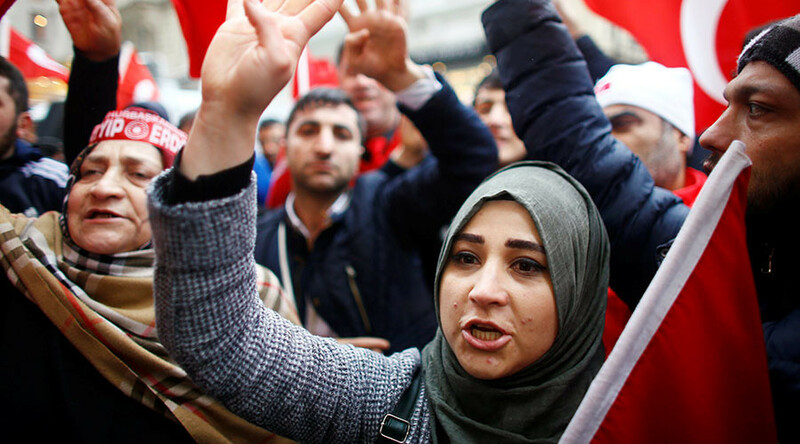 Still, their actions spoke louder than words when the Turkish foreign minister’s plane was scandalously banned from flying to the Netherlands, while another minister was outright deported while trying to reach the Turkish consulate in Rotterdam. The Dutch put their moves down to security concerns, but they left the Turks fuming, with some top Ankara officials coming up with words best described as bizarre. While the two sides spectacularly clashed by giving one another lessons in history, diplomacy and democracy, let us pause for a moment and see if you can still recognize who uttered what.